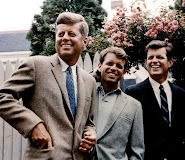 BOSTON – In celebration of Presidents’ Day, today the John F. Kennedy Presidential Library and Museum unveiled The President’s Desk, an interactive online module that allows students and other website visitors to sit virtually at President Kennedy’s Oval Office desk and explore several multi-media presentations of historic aspects of his life and administration. The announcement was held in the Oval Office exhibit of the Museum at the John F. Kennedy Presidential Library before an exact replica of the HMS Resolute desk, made from the timbers of the British ship, and presented by Queen Victoria to President Rutherford Hayes in 1878. The desk disappeared from public view until Jacqueline Kennedy found it in the White House broadcast room and had it installed as the President’s desk on February 4, 1961. The original desk is still being used by President Obama. With the launch of The President’s Desk, students of politics and history have the unique opportunity to learn about JFK’s experience in World War II, explore the Kennedy campaign office, dial President Kennedy’s Oval Office phone, press the secret button to the White House taping system, flip through his daily schedule, sail the Victura around Cape Cod, browse through family photographs, and discover what it means to hold the highest office in the land. The President’s Desk acts as a gateway to seven different interactive modules featuring a variety of topics related to President Kennedy’s life and presidency. 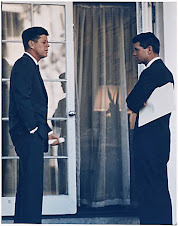 The module’s interface is based on an archival image of President Kennedy’s Oval Office desk. Highlighted objects on the desk – including the President’s White House diary, telephone, secret taping button, a piece of scrimshaw from his collection, a picture frame, and the coconut husk paperweight containing the rescue message that saved him and his PT-109 crew – open to reveal unique multimedia experiences. Newly-digitized resources, ranging from recordings of meetings in the Oval Office to family home movies, populate the site and provide an engaging and fascinating look into this important chapter of American history. The President’s Desk microsite is accessible worldwide by visiting www.JFKLibrary.org. It was funded by IBM, Staples, Inc. and National Amusements. The President’s Desk Teachers’ Resource Guide, available on the Library’s website, provides a detailed description of the site’s layout and featured artifacts, as well as suggestions for how to use these materials with students in grades 4-12. This interactive experience is presented in conjunction with the commemoration of the 50th Anniversary of the Kennedy Presidency. 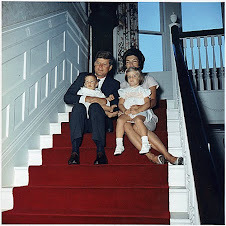 The John F. Kennedy Presidential Library and Museum is one of 13 presidential libraries administered by the National Archives and Records Administration and is supported, in part, by the John F. Kennedy Library Foundation, a non-profit organization. 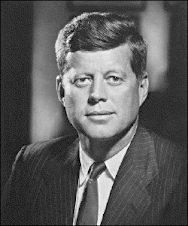 The Kennedy Presidential Library and the Kennedy Library Foundation seek to promote, through educational and community programs, a greater appreciation and understanding of American politics, history, and culture, the process of governing and the importance of public service.